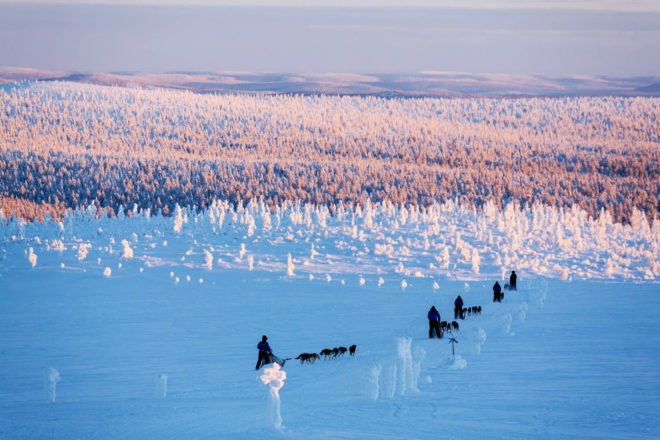 Take a husky safari at Kakslauttanen Arctic Resort. Stay in a kelo glass igloo at Kakslauttanen Arctic resort, Finland. A room with a view at L'Oiseau Blanc, Paris. 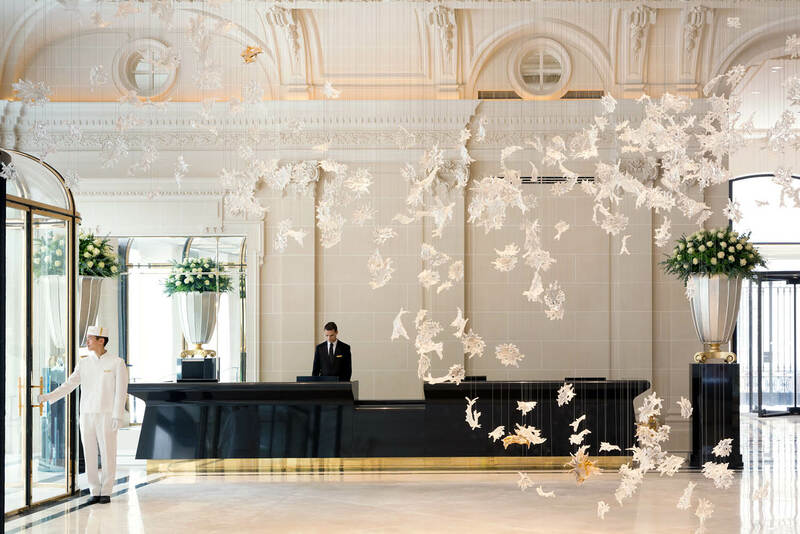 The lobby of The Peninsula, Paris. There's nothing like a white Christmas in a buzzing city like New York. 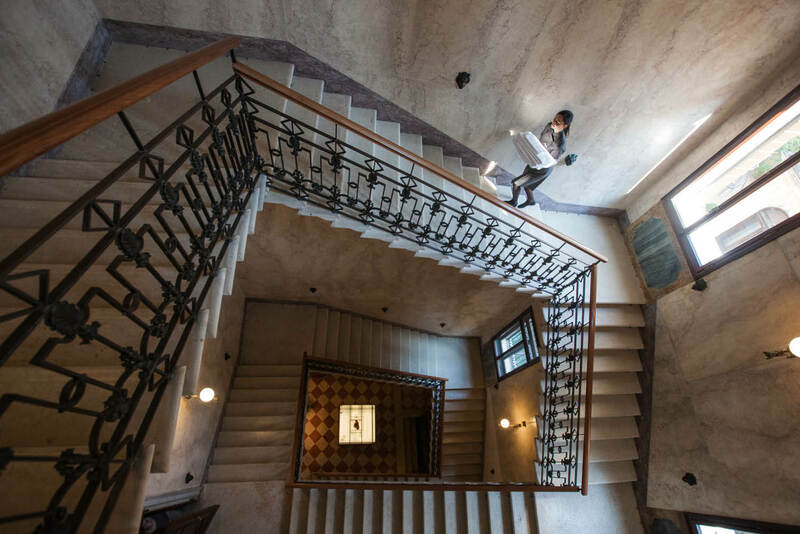 The Grand Staircase at Aman in Venice. 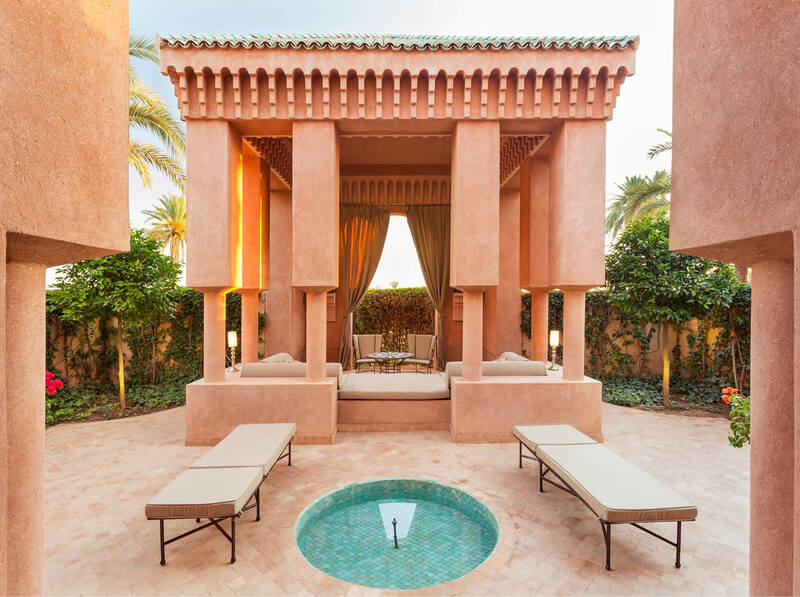 Leave the frenetic pace of Christmas behind at Amanjena in Marrakech. 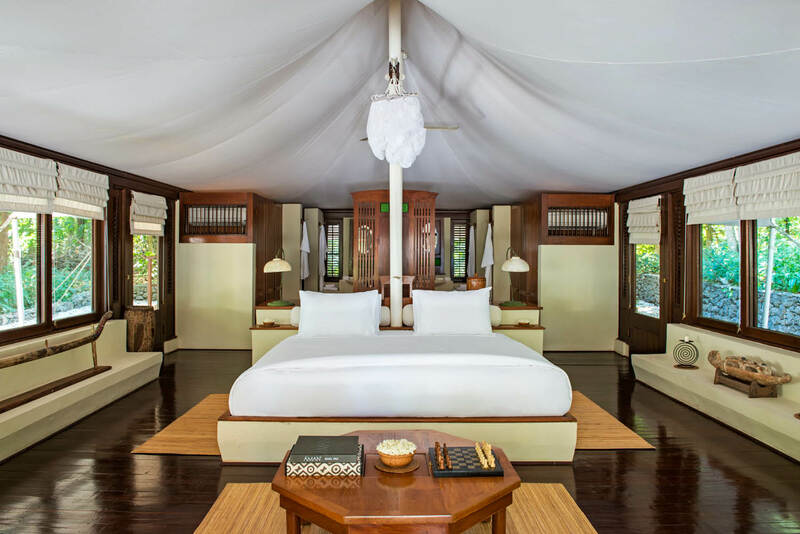 Escape to Indonesia and the casual luxury of Amanwana. Sure, Christmas at home is great and all, but you can’t deny there’s a teeny part of you that dreams of a festive holiday overseas. We’ve got your inspo right here. Think of it as a (really) early gift for next year. By Nikki Wallman. Australian Christmas celebrations are renowned for being so laidback, they’re practically upside down. Where Northern Hemisphere folk light candles, we light mozzie repellent coils. Where they sing carols in the snow, we don silly paper hats in the sunshine. Where they drink eggnog and mulled wine, we crack tinnies and sip rosé. Needless to say, an Australian Christmas is a beautiful thing. But ever since experiencing white Christmases in London and Berlin many years back, my curiosity’s been piqued, and with so many wonderful ways to celebrate, I can’t help but imagine where future festive seasons could be spent. If you’re thinking of packing your bags next years, these five destinations deliver big on Christmas magic. You may have spotted them on social media: rows of glowing, golden glass domes, snuggled into the snow and surrounded by icing sugar-tipped trees. 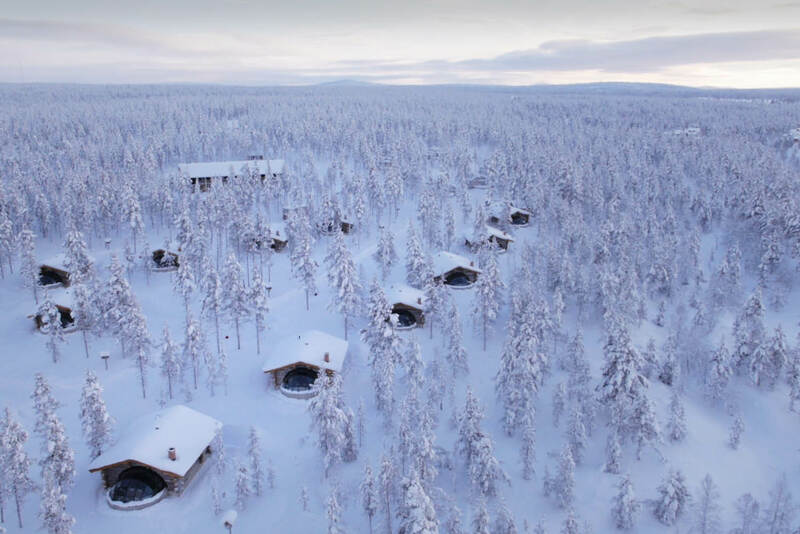 These outrageously Instagrammable igloos are part of Finland’s Kakslauttanen Arctic Resort. Nearby, nestled into the forest, lies ‘Santa’s home’ – a charming red wooden chalet where you can deliver your wish list to the big guy himself. At Christmas the magic is dialled up a notch, with traditional Finnish seasonal feasts and themed activities; guests can also partake in anything from husky or reindeer safaris, to skiing and aurora hunting during the winter months. Feel like you’re surrounded by a pack of wild animals as you feed and throw presents to your family members? Head to Africa and see the real thing instead. Sanctuary Retreats boasts some fantastic options. How about sharing Christmas lunch with a couple of elephants at Sanctuary Stanley’s Camp in Botswana? For something ‘wildly’ romantic, try Sanctuary Baines’ Camp, with swoon-worthy touches like an outdoor ‘star bath’ on your deck, and the option to wheel your four-poster bed out under the night sky; plus candle-lit dinners and private walks with semi-habituated elephants. Or, for a twist on the traditional festivities, you could join staff at Sanctuary Sussi & Chuma Lodge near Victoria Falls and their families to sing carols by candlelight on Christmas Eve. There’s nothing like a white Christmas in a buzzing city like New York. These cities literally light up for Christmas, so head for a hotel that also goes next-level with towering Christmas trees groaning under the weight of all their baubles, festive fun and gourmet feasts. In Paris, young guests can skate around the Hotel Plaza Athenee’s ice rink in La Cour Jardin, the stunning walled courtyard in the centre of the iconic hotel. In December until Christmas Day, The Peninsula Paris’ La Terrasse Kleber transforms into a Christmas market brimming with festive Frenchiness and gourmet ‘chalets’ serving everything from oysters, lobster and caviar (plus Champagne, bien sur) to crepes, warm chestnuts and mulled wine. Guests at The Dorchester London receive a stocking stuffed with treats from the pastry kitchen on Christmas Eve. They can also enjoy performances by a children’s choir alongside champagne, rare teas, scones, clotted cream and seasonal jams. 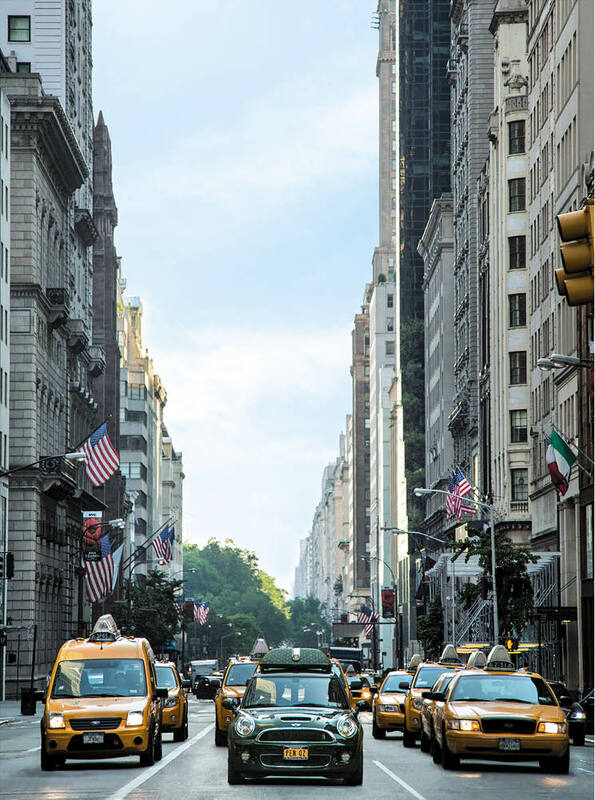 Meanwhile, The Peninsula New York offers gingerbread house decorating classes, festive high tea, various Christmas feasts and holiday caroling. 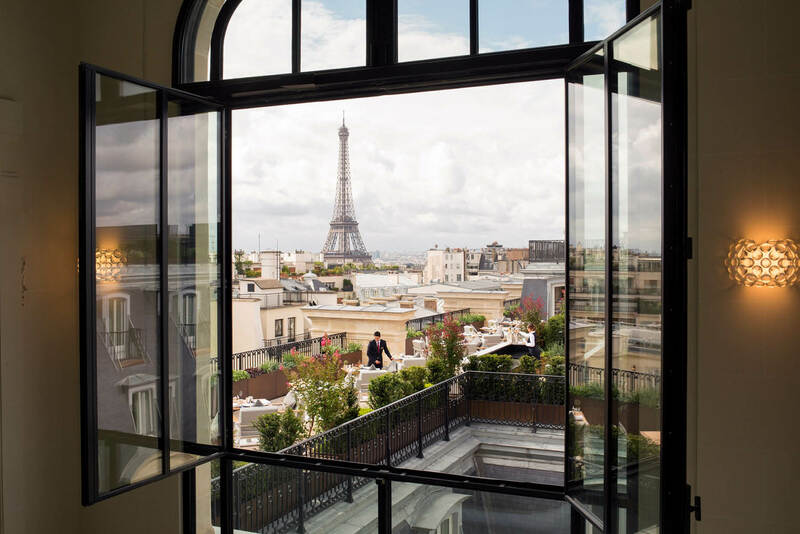 A room with a view at L’Oiseau Blanc, Paris. [copy] Pack up all your stresses and bad habits and head for Kamalaya, the eternally in-demand luxury wellness retreat on the southern coast of Koh Samui. Here, healing traditions and practices from East and West are combined with a nurturing approach and delicious cuisine. Christmas here is the perfect time to reflect on the year past, and kick off the next one on the right (perfectly yoga-balanced) foot, whether you’re looking to increase fitness, detox, sleep better or de-stress. Kamalaya puts on a special Christmas feast as well as a gala dinner on New Year’s Eve. Who said wellness needed to be about deprivation? If you’re keen to try a healthy Christmas elsewhere, Health & Fitness Travel specialises in healthy holidays around the world, including their ‘Discover Recover’ packages, combining cultural adventures with a wellness element. Aman are the masters of painstakingly handcrafted hospitality in some of the world’s most beautiful locations (I’m still dreaming of a recent stay at Amangalla, Sri Lanka). On Christmas Eve at Indonesia’s Amanwana, you can decorate the jungle wishing tree with wishes for loved ones, and give back to nature by replanting corals in the resort’s reef nursery, followed by a seaside champagne. Christmas Day brings guided snorkelling, festive feasting and celebratory high tea, where you might be joined by curious deer emerging from the jungle. 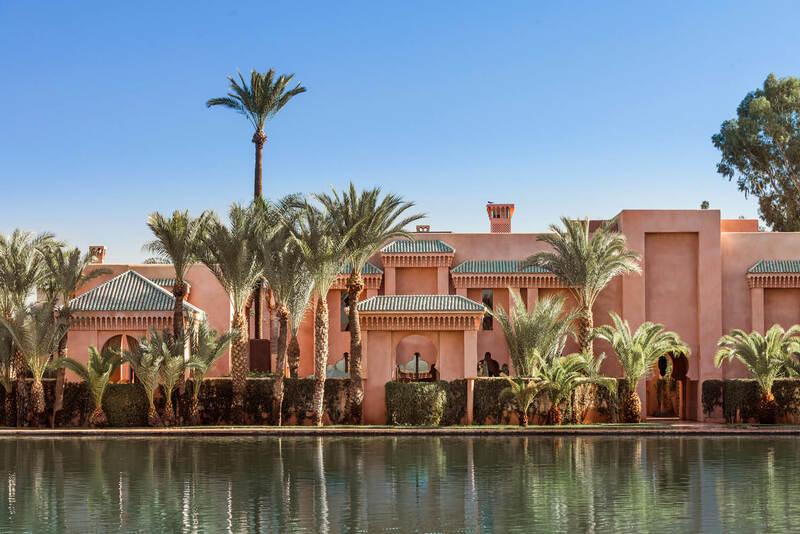 At Amanjena, Morocco, join a camel ride on Christmas morning to welcome ‘blue men’ bearing gifts for the children, before a traditional Moroccan lunch in the olive groves. And at Aman Venice, an opulent 16th-century palazzo on the Grand Canal, guests can enjoy a candlelit choir’s rendition of the Concerto di Natale before Christmas Eve Dinner. Night owls can also partake in traditional midnight mass, followed by a welcoming hot chocolate and panettone back ‘home’.